Mouth and Foot Painting Artists Inc., Atlanta. Although Christmas-related products tend to be the most important source of our income, there are a number of useful products that can be purchased and used at any time of the year. To order MFPA Products [online], go to our publishers web site at www.mfpausa.com and click on the [SHOP NOW] link. That’s it! To get on our mailing list, you can add yourself at www.mfpausa.com – or simply e-mail me at sconi@sconi.com , and just tell me that you want to be added to the list. Please be sure to give me your full name, street address, city, state, and zip. The Association of Mouth and Foot Painting Artists is a for profit International Corporation, [owned by the artists]. We’re not a charity. The Association is comprised only of artists who have lost or never had the use of their hands due to illness, accident, or birth defect. The Association safeguards the interests of the Mouth and Foot Painting Artists through the successful marketing of our products. Our designs are created by holding a brush with either the mouth or foot. The Association has been in business for over 60 years. We do not seek pity, what we do seek is an opportunity to earn an honest and independent living. Moreover, we pride ourselves on being a long standing business with a good reputation. Our goal is to provide you with quality products at a fair price. 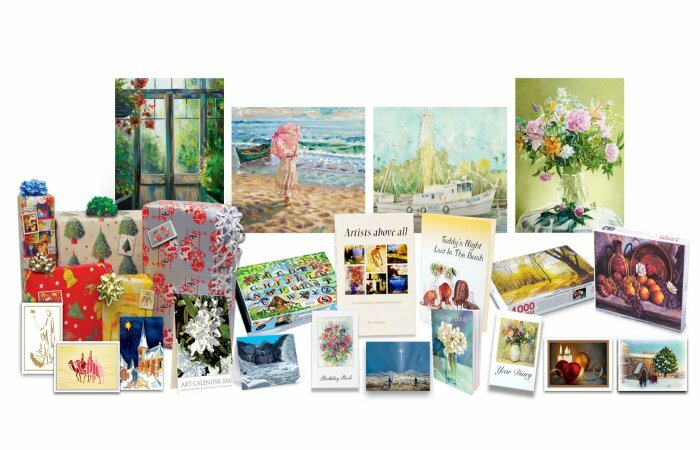 We offer; greeting cards for all occasions, a beautiful full color annual art calendar, stationery, gift wrap, and more. Mouth and Foot Painting Artists Inc.